Three people have been charged after a family was allegedly attacked while walking through Aberdeen city centre. 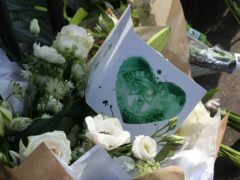 Tributes have poured in after a woman was killed in an Angus road accident. Police have released details of a suspect after Trainspotting 2 actor Bradley Welsh was shot dead on his doorstep. Police Scotland is getting a “raw deal” from the Scottish Government on funding and is lagging behind other forces, a Labour MSP has claimed. Trainspotting 2 actor Bradley Welsh was shot dead on the doorstep of his home while his partner and young daughter were inside, police have said. A motorcyclist has died after crashing into a fence in East Ayrshire. Almost 30 people have been charged after a police crackdown on “money mules” who keep cash in their bank accounts for criminals. 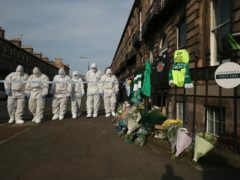 Police have launched a murder inquiry after Trainspotting 2 actor Bradley Welsh was shot dead in Edinburgh. A woman is facing court accused of being behind the wheel while almost seven times over the Scottish drink-drive limit. Recommendations have been made to police over their handling of missing person reports after a review concluded officers delayed visiting the home of a man who was later found dead. Emergency services were called to a series of road accidents which took place overnight and today. 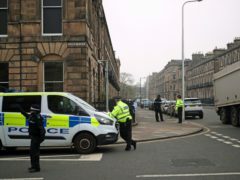 A man has been charged in connection with an alleged attempted murder in Fife. A man has been arrested in connection with two armed robberies at bookmakers in West Lothian. Organisations in Broughty Ferry fear there could be “pandemonium” at the beach this summer following a spate of holiday vandalism. A reward of up to £10,000 is on offer for information a year on from the fatal shooting of a father in Glasgow.